I was at my parents house this afternoon when I spotted a cute dog walking past so I dashed out to say hello to lovely Noodles! Noodles is a rescue dog from Cyprus. The family were on holiday there and one of their friends found Noodles walking around the holiday park and so took her in to a rescue centre and the family decided that they would like to adopt her. They had to wait a couple of months before Noodles could come back to the UK whilst they sorted out her doggy passport but she got over here eventually and has now lived in the UK for 7 years. What a lovely happily ever after story! 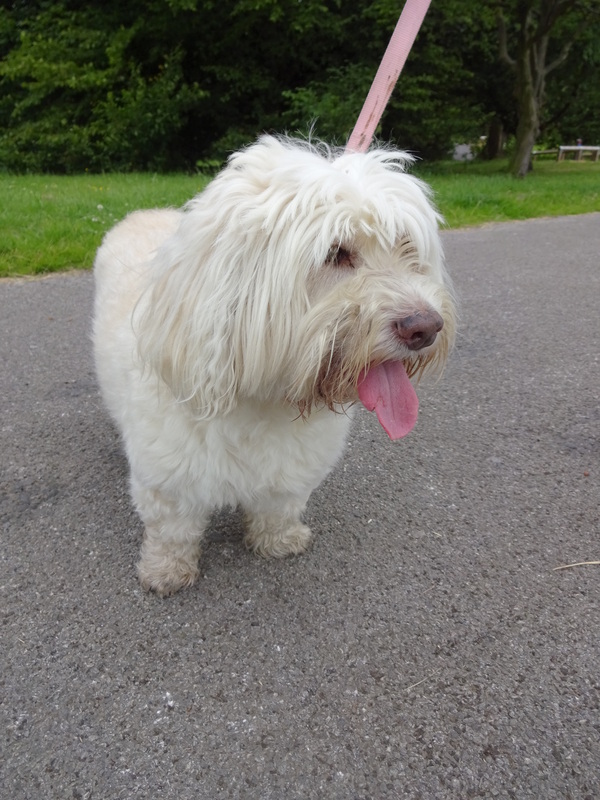 Breed: They are not sure what breed she is, some people have said a Cyprus Poodle and other people have suggested that she is maybe a cross with a Westie.